William Hodges continued his impressive run of form on the weekend, taking out the Orica Kermesse in the Green Team’s home town of Newcastle. The 21 year old took victory from a breakaway group of 10 riders. The winning breakaway was not established until the 5th lap of the 96km, 8 lap circuit race. Hodges was joined by Oliver’s teammate Fintan Conway, who worked hard to ensure the breakaway was successful. Campbell Jones who worked hard in the early stages was the final Oliver’s rider in the peloton, and ensured no others were successful in bridging the gap. 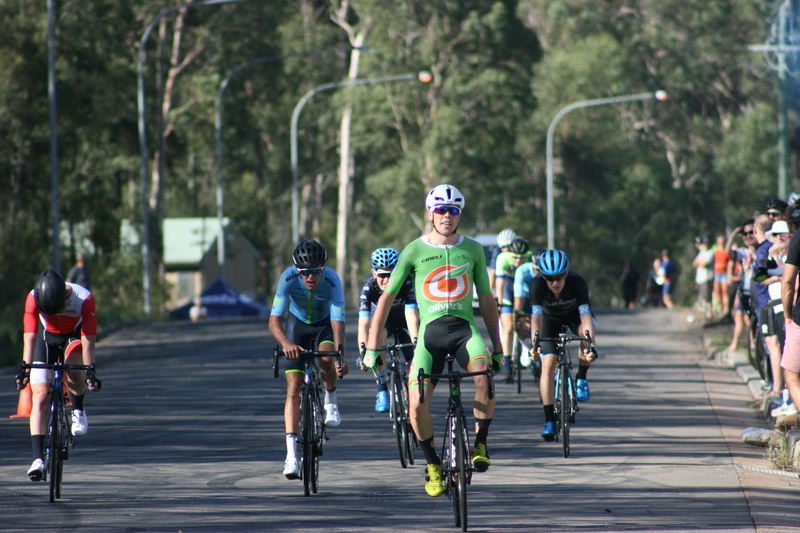 Despite a late attack from Morgan Smith (Rauland Cycling Team) and Ben Metcalf (Team Bridgelane), Hodges managed to take the sprint for the win ahead of Dylan Sunderland (Team Bridgelane) and Luke Cridland.